I struggled with the concept of Iris.Fall. Something was missing for me and I wasn’t able to put my finger on it and then it dawned on me: story. Now, there does seem to be some form of story involved as I progressed through Iris.Fall, but it appears to be secondary to the puzzles. However, there are parts that come up in the game that seem to forward that subtle narrative and then leave it behind to be swallowed up into the game’s dark-ish atmosphere. 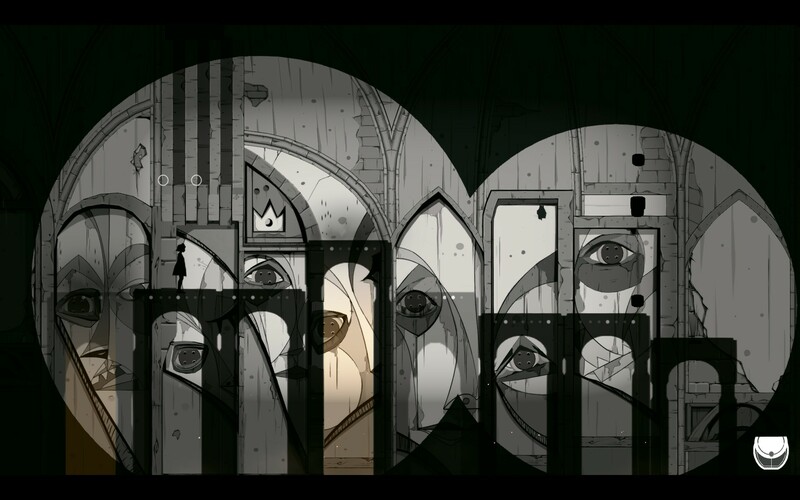 Can a puzzle game be just a puzzle game when designed into a world with a subtle narrative in the background? Does that work? Is it annoying? Does story really matter in a puzzle game? Let me break it down for you. 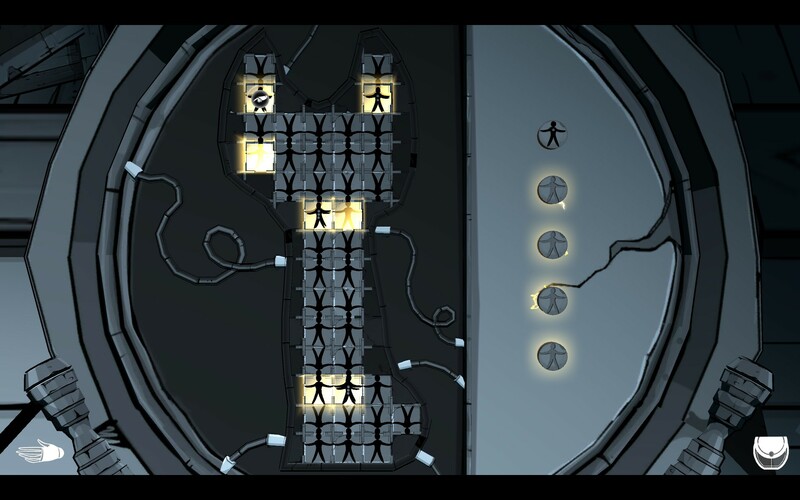 The main puzzle elements deals with shadows. For reasons unbeknownst to me, Iris has the ability to shift into the shadow realm with the help of special books found on the ground at which point, the game turns from a 3D puzzle game into a 2D side-scroller without the jump mechanic. You’ll be moving objects around in the 3D space to create shadows on walls and then shift into the shadow realm and either move on to the next room or acquire an item. It doesn’t feel fresh or new, but it does work well and it’s presented well also. The only issue I had with this mechanic is exiting the shadow realm requires some real precise positioning at times. The hit-box on some exit books felt smaller than I feel it should have been so getting out wasn’t as smooth as getting in. Visually Iris.Fall is done with the monochromatic black and white color scheme (as you can see in the screens). It seems to be trying to create a mysterious atmosphere, but it was introduced to me as creepy. After playing through it, there were definitely creepy-ish looking objects in the game, but most of the elements of Iris.Fall would fall into my category of “rather strange”. I spent most of the time playing and wondering what in the world I was being shown. The puzzles only added to that funky feeling, but as I mentioned before that there was a bit of a story in here. They keep reminding me of it, but never really fleshed it out enough for me to be able to describe it to anyone well. Am I a puppet? Do I need to free the puppets? Is the cat a jerk? 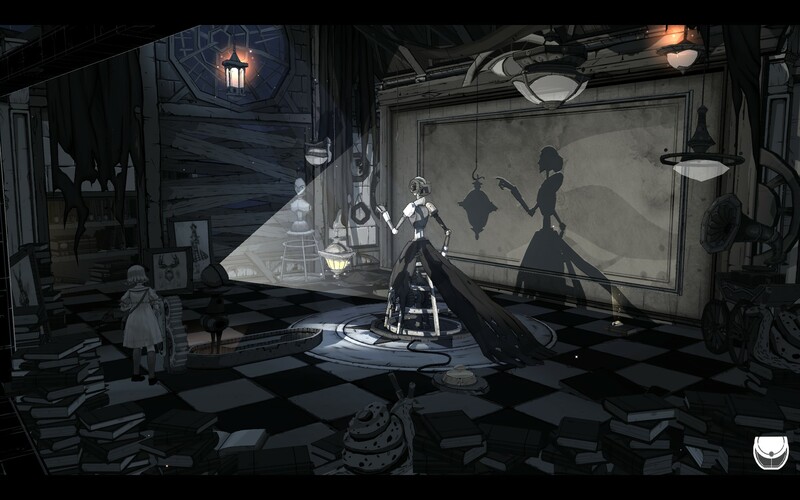 Had Iris simply gone from room to room solving weird-looking puzzles with puppets and shadows, I think that would had worked/flowed well enough for me as a game concept. As it stands, Iris.Fall is a visually fun game to look at as well as play… one day I may even be able to finish it. Iris.Fall is for anyone who appreciates a good puzzle. The difficulty varies, but if you stick with it, most of the puzzles fall into place eventually. I don’t like to score a game down for difficulty (and I didn’t), but there were a few puzzles that really made me want to quit. You know the kind that no matter how you look at it, the pieces don’t seem to form together into any sort of solution? (“Get gud” right? Thanks.) At the same, there has to be an answer. I liked the way the game’s puzzles were set up most of the time. The story could have been portrayed better, but as the gameplay stands, it almost breaks the immersion of the narrative. If they were really trying to tell a story, it never really clicked for me which hampered my enjoyment a bit. I’m not sure how to fix this other than make the puzzles so easy that the story doesn’t get broken up quite so often. If that were case though, the main point of creating a puzzle game would be lost so that’s a horrible option. Either way, Iris.Fall is a good and enjoyable puzzle game with a few hiccups along the way.